Located next to Tamarisk Country Club you will find a well-desired community, Tamarisk Rancho, which is divided into two separate parts featuring each 16 Mid-Century Modern homes. 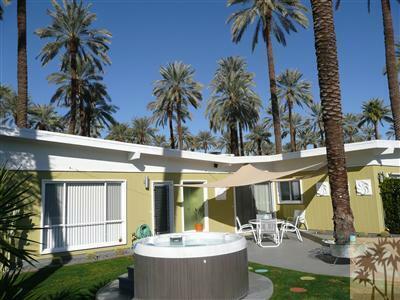 The homes are built along grassy green belts with a 45 foot long pool in the center inviting for a swim or just to relax while admiring the beautiful views to many date palms and fruit trees giving it a feel of living in an oasis. 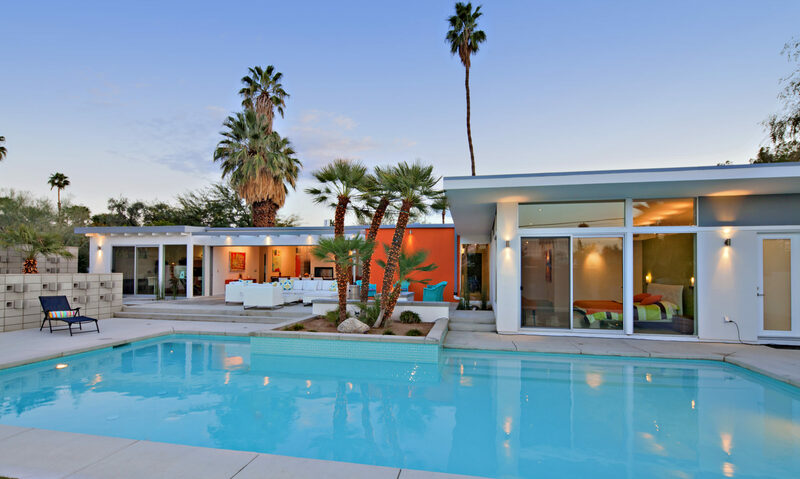 Tamarisk Rancho hosted many parties in the 50th attended by Barbara Sinatra, Groucho Marx and many other stars from Hollywood and was advertised back then as being one of the greatest places in the Palm Springs area. Being one of very few early communities in the Coachella Valley, Tamarisk Rancho in Rancho Mirage proved that the concept of building a few architecturally important single homes owned by private people around a shared common ground and swimming pool with green like parks as a cooperative was and is working . All the homes within Tamarisk Rancho were built with three different basic roof styles such as low-pitched front gabled, butterfly or a flat one. The outside of these homes were either finished with stucco, board and batten or natural rock and have a size of approx. 1,900 sqft. and a separate garage. There are two floor plans available, one with 2 bedroom/2 bath and a den or 3 bedroom/3 bath and a den. All the homes feature floor to ceiling glass windows and in some areas clerestory windows providing adequate light within the home. The built in fireplace made of either brick or natural rock invites for a relaxing evening reading a book in front of the fire or hosting dinner parties. Tamarisk Rancho is one of the finest Cooperatives and a great example of still being well maintained after all these years. 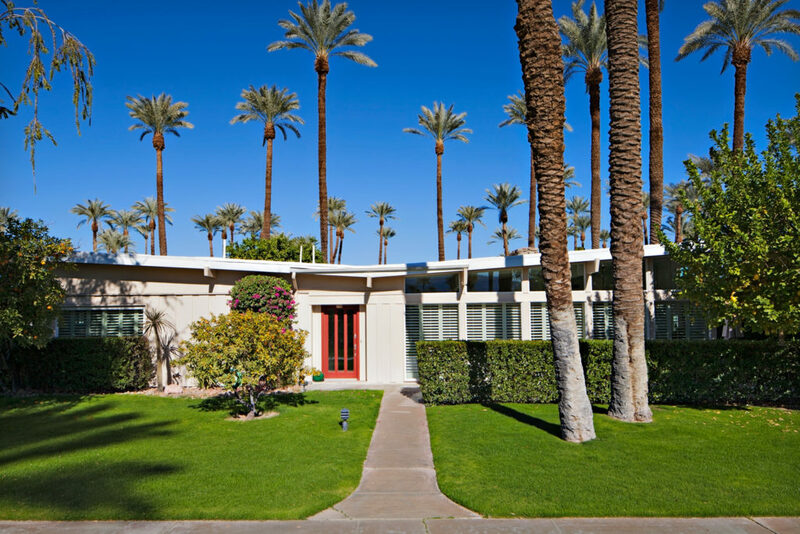 Most of the homes have been designated by City of Rancho Mirage as historically significant. This community is truly one of a kind in the Palm Springs area.